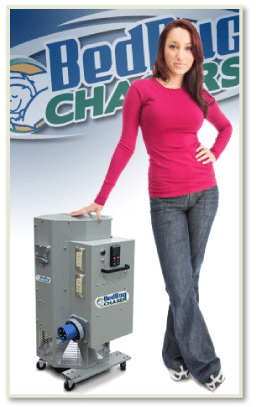 "Where No Bed Bug Heat Treatment Brooklyn Has Gone Before"
At BedBug Chasers of Brooklyn, our equipment and people make the difference in your Bed Bug Heat Treatment Brooklyn. 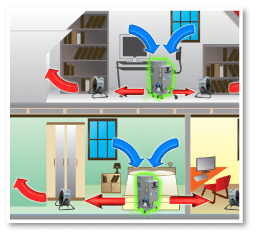 Our proprietary BedBug Chaser is a patent pending, portable, safe, electric, green, convective heater designed specifically for Bed Bug Heat Treatment Brooklyn use and is the culmination of over two years of constant research and development. It was designed to be lighter, smaller and more powerful than any similar heater currently in the market. The BedBug Chaser incorporates lightweight aluminized steel construction and fully rated safe quick-connect load terminals. The unit is equipped with dolly style wheels, which will not damage floors and allows for easy mobility within the home. The heater is rated for continuous operation with more than double the BTU output than any other unit in its size range. BedBug Chasers is the only company using this ground-breaking heating technology for Bed Bug Heat Treatment Brooklyn. Unlike our competitors that use generic heaters, the BedBug Chaser was designed, tested and manufactured with the specific purpose of killing bed bugs by bed bug heat treatment which allows us to have the Most Effective MYC BED BUG HEAT TREATMENT. We partnered with Avtron in Cleveland, Ohio to manufacture these heaters exclusively for BedBug Chasers. 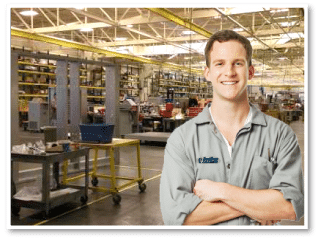 Their extensive experience includes making equipment for the aviation, automobile, commercial, industrial, and marine industry since they opened their doors in 1953. With this alliance, BedBug Chasers has access to five production facilities in the US and UK and are able to manufacture heaters to support our global franchise network – no one else can do that!